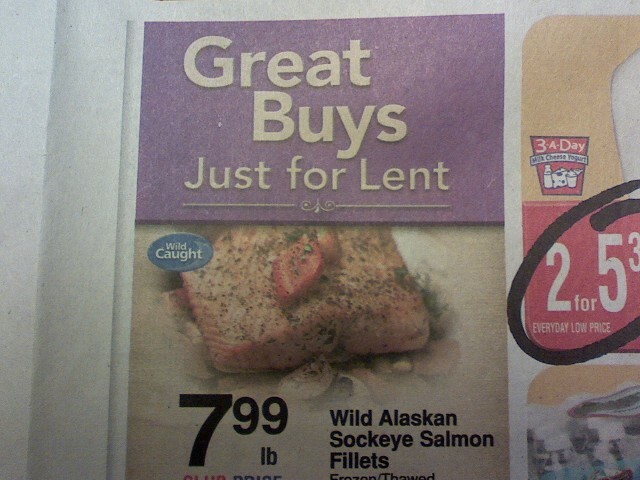 Lent, the 40-day Christian observance before Easter, is a time of prayer, fasting, almsgiving and as far as my local grocer is concerned, seafood sales. Must every celebration, holiday and observance also be an occasion to try and make a buck? I’ve always found Seattle’s coffee culture a little ridiculous, and apparently Dunkin’ Donuts thinks so too. This commerical is a couple of years old, but it’s resurfaced as Dunkin’ Donuts amps up its advertising in its quest to become America’s new coffee king. A recent Seattle P-I article states that DD is expanding nationally to challenge Starbucks. So in addition to McDonald’s, Starbucks has another big competitor to worry about. Will a nationwide three-hour training help the company get back on track? I’m a sushi lover and for years, I’ve heard about the remarkable taste of fresh wasabi. Most restaurants use imitation wasabi that comes in a tube because fresh wasabi is very expensive. So I jumped at the chance to try it when I saw it on the menu at Mashiko in West Seattle. It cost $3.00 for a quarter-sized dollop of fresh grated wasabi, and the server told me to put it on a piece of sashimi without any soy sauce to get the full effect of the pungent root. My husband–an imitation wasabi fiend–was not a fan of the fresh stuff. “It tastes like dirt,” he said. As for me, I was surprised that there wasn’t a total flavor disconnect (e.g. grape-flavored candy and fresh grapes) between imitiation and fresh wasabi. The fresh wasabi had a familiar sharpness and burn but wasn’t sinus-clearing (as I had feared). 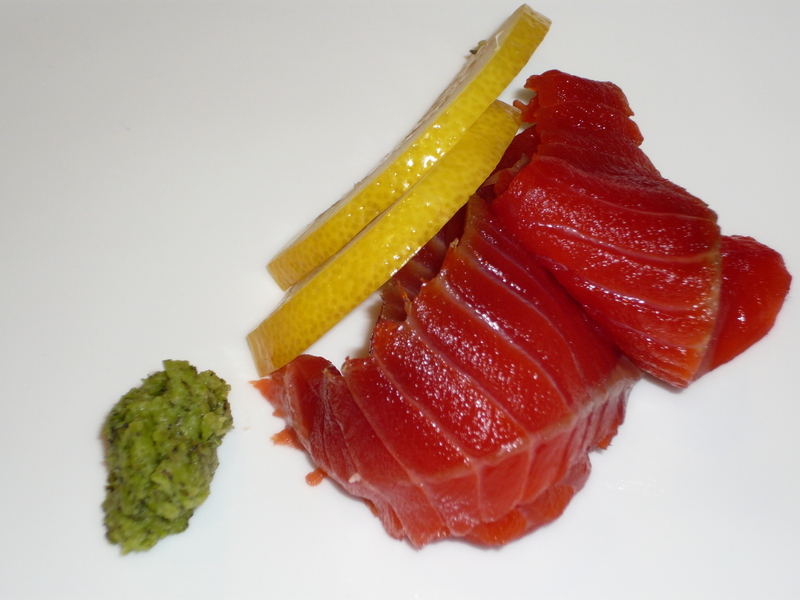 I liked how the rough texture of the grated root contrasted with the silken smoothness of the sashimi. However, I didn’t enjoy the overall effect. As my husband had observed, the fresh wasabi was gritty, and it had an unpleasant plastic aftertaste. It also did nothing to enhance the flavor of the fish. My husband and I considered that maybe we weren’t experiencing first-rate fresh wasabi and maybe that’s why it was a disappointment. I’m not so eager to try it again, but I will still enjoy hot wasabi peas. Wasabi ice cream? That’s another story. 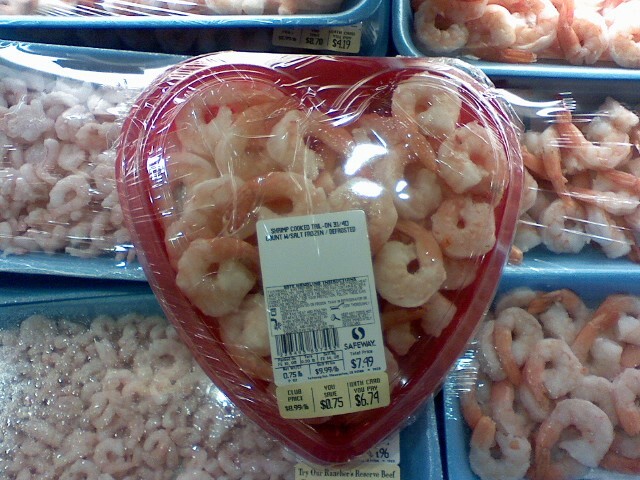 Apparently my local grocer feels a great way to express your love this Valentine’s Day is with a heart-shaped(!) box of shrimp. “I like food,” I declared to my friend. We then proceeded to tuck into six or seven dishes at Rain sushi restaurant in Seattle’s Wallingford neighborhood. The fish was fine, but that night I most enjoyed an original vegetarian take on a classic Asian finger food–kabocha squash dumplings. The dumplings were sweet but not cloying, and their orange color made for a striking presentation. I liked them so much I’m going to try and make some of my own. The pleasure of discovery and inspiration–just two of the reasons I enjoy going to restaurants.